Essential Production and Post-Production for One-Person Crews. These presentations were recorded live at NAB 2016 Post|Production World, the leading training event for content creators and designers. Two companion PDFs are also included. Eduardo Angel is an Emmy Award-winning visual storyteller, independent technology consultant and educator based in Brooklyn. His mission is to inspire and empower photographers and filmmakers in the use of technology to enhance creativity. 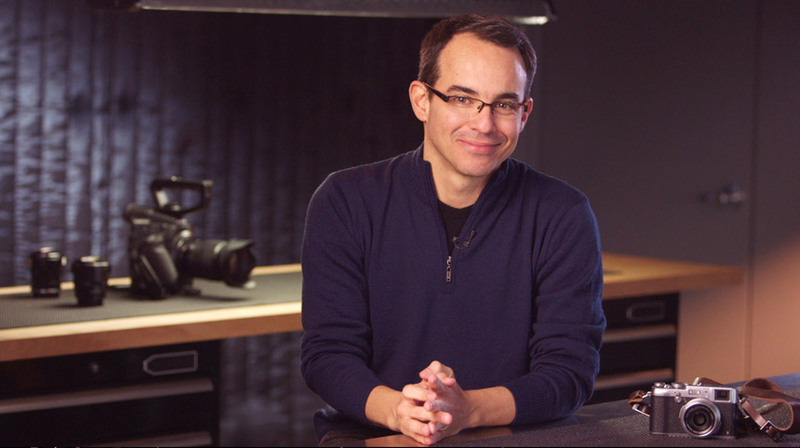 Eduardo has worked as an Adobe official beta tester for Lightroom and Premiere Pro, has taught at the School of Visual Arts and the International Center of Photography, mentors the Photography program at the Savannah College of Art and Design, and is the author of popular filmmaking courses and articles. Eduardo speaks at conferences and industry events around the world and regularly publishes his thoughts on his blog eduardoangel.com. He is also a cofounder of the idea production company The Digital Distillery. Selected clients include: Adobe, Canon U.S.A., Chicago Architecture Foundation, Fashion Institute of Technology, Future Media Concepts, Gulf Photo Plus (Dubai), Hasselblad, Lynda.com, McCann Erickson, Mamiya/Leaf, New York Magazine, NAB Show, New York Times, Panasonic North America, Panasonic Middle East, Photo District News, PhotoPlus Expo, Photokina (Germany), Sigma, Sony, Tenba, Time Inc. Digital, and X-Rite, among many others.